Lucia’s family was burdened heavily by poverty, so she stopped going to school at the end of her primary years in 2008 when they could not pay her school fees. She worked at home for the next several years, helping her family grow food, tending to household chores and carrying water daily. But in her heart an unrelenting dream to continue her schooling would not die. Desperate for a way forward, Lucia knocked on the door of kind neighbors Alphonse & Eva Ngowi in 2011. She had watched Alphonse do community service as the water project manager for ICBD. Eva, too, cooperated with ICBD in her founding of the Acorn Women’s Cooperative, providing skill development for a small group of Uru women creating fair trade products. 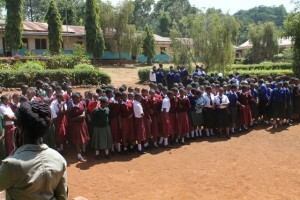 She told them of her family’s hard situation, shared her dream for education and asked for their help. The Ngowi’s listened carefully to Lucia’s request for assistance with her continued education but were at a loss as to how to help. They lived a modest village life and still had 3 children they were supporting in their educations. But Lucia was adamant in her dreaming and persuasive in her appeal. With parental permission, they decided she would stay in the Ngowi home for the time being. Here she would help in the household and learn sewing and tailoring skills from the Acorn Women’s group. 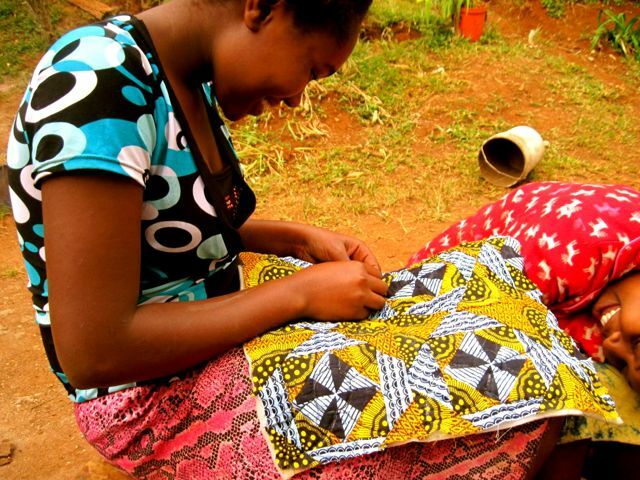 Lucia was hardworking and appreciative for this shelter and opportunity, but in her own words: “my heart still ached for secondary school education”. 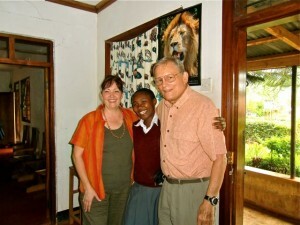 I met Lucia in early 2012 during a work trip to Tanzania and was touched by her eagerness to work and learn. Her good humor was evident in her wide smile and she went about her household duties with care and consideration. While visiting in the Ngowi home I observed a diligent, bright young woman who truly deserved to have her dream of education supported. Happily, Lucia she became the recipient of an ICBD educational scholarship allowing her to begin her secondary school education in January 2013. Lucia smiles & dreams bigger! 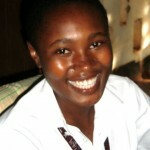 Lucia has been in secondary school for two years now and has not disappointed. She works hard and is a student leader, respected by her classmates and teachers. With stars in her eyes she continues to smile and carries a new big dream of being “ a doctor or an engineer”.